New book, published by Springer International. Pumain D., Reuillon R. (eds. 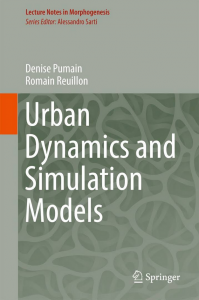 ), 2017, Urban Dynamics and Simulation Models, Springer, 123p. Authors. 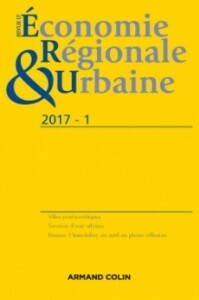 Chapron P., Chérel G., Cottineau C., Cura R., Leclaire M., Pumain D., Rey-Coyrehourcq S., Reuillon R., Schmitt C., Swerts E.
Abstract. 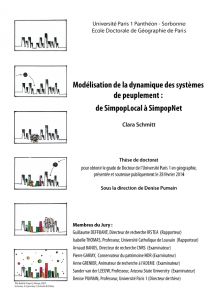 This monograph presents urban simulation methods that help in better understanding urban dynamics. Over historical times, cities have progressively absorbed a larger part of human population and will concentrate three quarters of humankind before the end of the century. This “urban transition” that has totally transformed the way we inhabit the planet is globally understood in its socio-economic rationales but is less frequently questioned as a spatio-temporal process. However, the cities, because they are intrinsically linked in a game of competition for resources and development, self organize in “systems of cities” where their future becomes more and more interdependent. The high frequency and intensity of interactions between cities explain that urban systems all over the world exhibit large similarities in their hierarchical and functional structure and rather regular dynamics. They are complex systems whose emergence, structure and further evolution are widely governed by the multiple kinds of interaction that link the various actors and institutions investing in cities their efforts, capital, knowledge and intelligence. Simulation models that reconstruct this dynamics may help in better understanding it and exploring future plausible evolutions of urban systems. This would provide better insight about how societies can manage the ecological transition at local, regional and global scales. 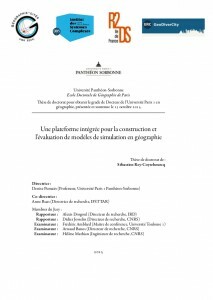 The author has developed a series of instruments that greatly improve the techniques of validation for such models of social sciences that can be submitted to many applications in a variety of geographical situations. Examples are given for several BRICS countries, Europe and United States. The target audience primarily comprises research experts in the field of urban dynamics, but the book may also be beneficial for graduate students. Key-words. 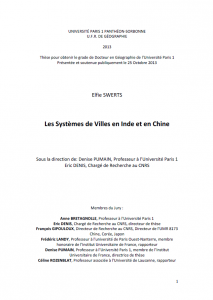 Simulation, Simulation models, Simpop, Systems of Cities, Complexity, Urban systems, Urban systems dynamics, BRICS. Abstract. In this paper, we present a modelling experiment developed to study systems of cities and processes of urbanisation in large territories over long time spans. 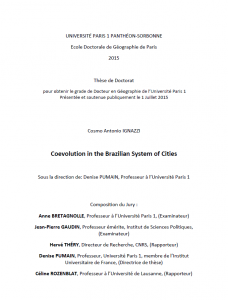 Building on geographical theories of urban evolution, we rely on agent-based models to 1) formalise complementary and alternative hypotheses of urbanisation and 2) explore their ability to simulate observed patterns in a virtual laboratory. 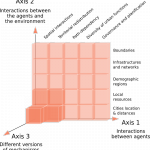 The paper is therefore divided into two sections : an overview of the mechanisms implemented to represent competing hypotheses used to simulate urban evolution; and an evaluation of the resulting model structures in their ability to simulate—efficiently and parsimoniously—a system of cities (between 1000 and 2000 cities in the Former Soviet Union) over several periods of time (before and after the crash of the USSR). We do so using a modular framework of model-building and evolutionary algorithms for the calibration of several model structures. This project aims at tackling equifinality in systems dynamics by confronting different mechanisms with similar evaluation criteria. It enables the identification of the best-performing models with respect to the chosen criteria by scanning automatically the parameter space along with the space of model structures (the different combinations of mechanisms). The COP21 that meet in Paris this December will discuss new agreements between countries for regulating activities that are detrimental to the global environment. Cities, because they organize in systems of cities are the best tool (that was invented long ago by societies) for solving environmental problems: first by circulating in a top-down way the international and national directives, second by sharing bottom-up ingenious local inventions to reduce pollution and save resource. 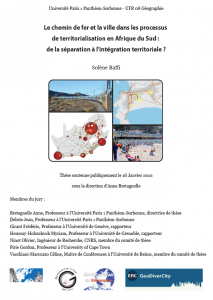 This should no longer be conceived as a competition between cities for being considered as “the smarter” but as a collective challenge for territorial intelligence through interurban emulation. 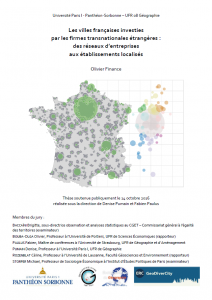 That message was presented last September in a conference at a meeting organized in Versailles by ESRI France that you can find here. Abstract. This paper presents an incremental method of parsimonious modelling using intensive and quantitative evaluation. It is applied to a research question in urban geography, namely how well a simple and generic model of a system of cities can reproduce the evolution of Soviet urbanisation. We compared the ability of two models with different levels of complexity to satisfy goals at two levels. 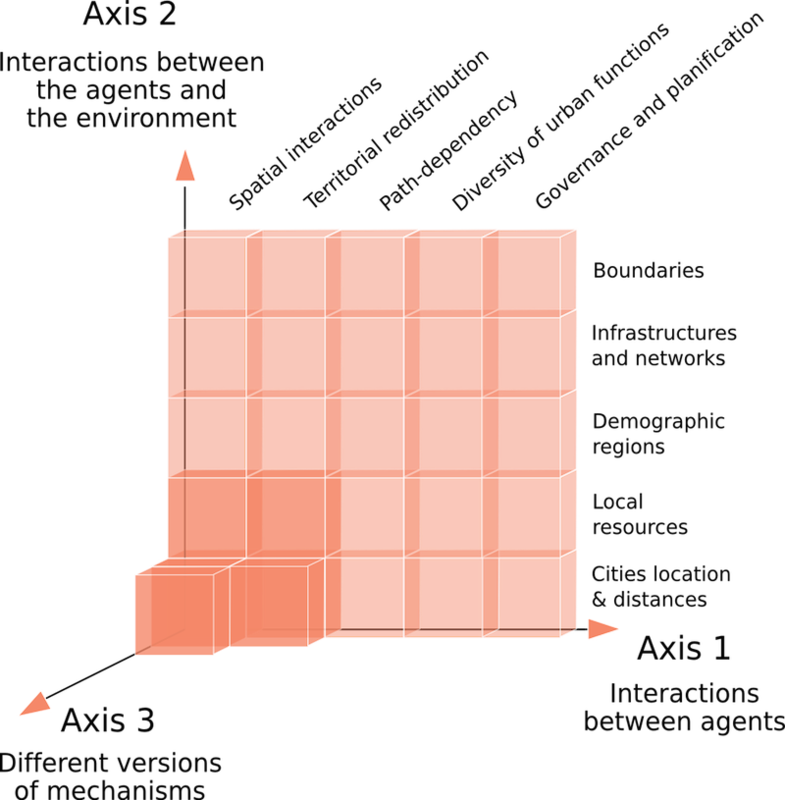 The macro-goal is to simulate the evolution of the system’s hierarchical structure. The micro-goal is to simulate its micro-dynamics in a realistic way. The evaluation of the models is based on empirical data through a calibration that includes sensitivity analysis using genetic algorithms and distributed computing. We show that a simple model of spatial interactions cannot fully reproduce the observed evolution of Soviet urbanisation from 1959 to 1989. A better fit was achieved when the model’s structure was complexified with two mechanisms. Our evaluation goals were assessed through intensive sensitivity analysis. 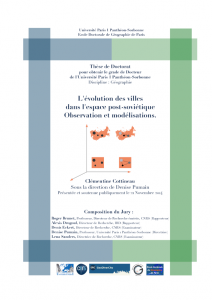 The complexified model allowed us to simulate the evolution of the Soviet urban hierarchy.